Funyo began as a simple video roulette chat site, and then added a variety of extra features as time went on. 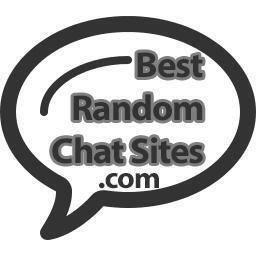 One feature that sets it apart from most random chat sites is that is has a social network attached to it. I would say it is not on the level of the social network run by iMeetzu, but it is still up and coming and I’m sure they have a lot of kinks to work out such as spam control etc, which is normal with any newer user-based system like that. Anyway, besides that, they also have the Chatroulette-style webcam chatting option, as previously noted. This option runs smoothly in my experience, and has a pretty good number of users available most of the time. The Alexa rank of the website is around 50,000, so that’s usually good enough to ensure their are always enough people around to make a site interesting. Anyway, the site has other extra features as well. First, it has a group chat room setup where you can actually pick your local location and enter a room. This part in particular does not seem to have caught on yet, but it looks like they are also using the same software system to support a more general chat room which does seem to be pretty well populated with users most of the time, and it allows you to do both video and text chatting, along with private messaging / video calling as you desire. Finally, they have another live cam chat option that seems to concentrate on building up viewers / performing, so if you’re into that be sure to check it out. Their site is located at www.funyo.com. Update: Site no longer exists.